With an experience of 120 years, Haulotte Group is THE specialist in lifting equipment. Haulotte Group always improves its techniques in order to meet its customer needs. 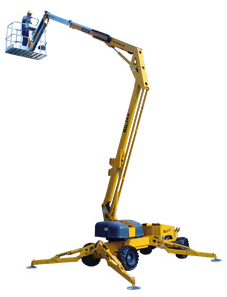 Discover a lot of materials such as vertical masts, scissor lifts and electric boom lift to reach difficult spaces. Haulotte Group provides Global Solutions for Your Business, from Financing to Customer Service support. The New Star Range: Everything’s changed except the name! Whether you need a general overview or a specific program tailored to your needs, Haulotte US can supply your training needs. Training programs can be conducted at your location or through regional training classes set up throughout the year. Programs range from basic hydraulic and electric training to specific repairs tailored to the Haulotte brand. Haulotte US can provide operator training to meet local industry requirements. All training programs are provided by qualified instructors and will ensure that training obligations for your market, industry, or workforce is met. Different trainings are provided to our customers adapted to each of their needs. Haulotte offers some regional trainings to be always convenient. Because we understand our customers nad want to match their expectations, you can also follow one of the full training offered in our training center. Basic: It will show you how to read drawings and understand the symbols used it them. Advanced: It will show you how to repair the machines and all the assets of using our tools. The trainer will go through hydraulic blocks, controls, engines and related components.